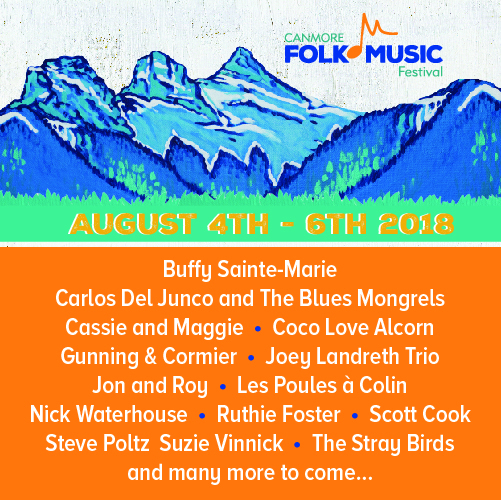 This August, Buffy Sainte-Marie will headline the 2018 Canmore Folk Music Festival in Canmore, AB. The festival occurs August 4-6 at Centennial Park. The festival line up also includes performances by Carlos Del Junco and The Blue Mongrels, Coco Love Alcorn, Ruthie Foster, Joey Landreth Trio, and more. Head over to the Canmore Folk Music Festival website for the full lineup and more information. Festival passes are on sale now, Buffy Sainte-Marie’s performance date and set times TBA, check back for more info. 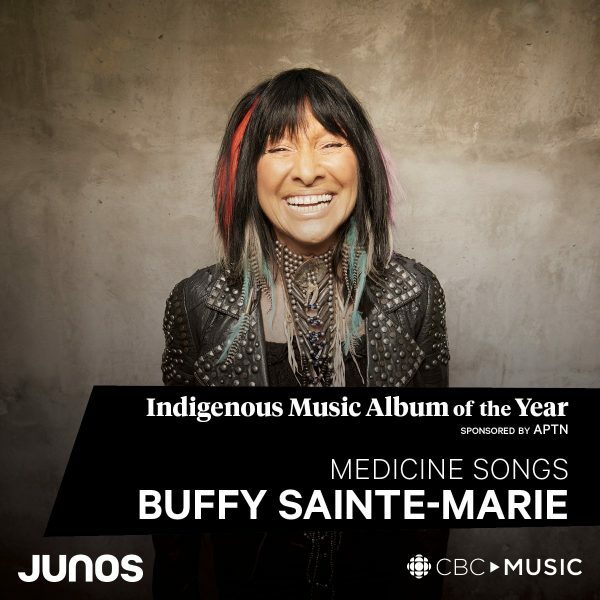 Buffy Sainte-Marie’s Medicine Songs took home the Indigenous Music Album of the Year at the 2018 JUNO Awards. The award was presented at the Gala Dinner Awards in Vancouver on March 24. Congratulations Buffy! Buffy Sainte-Marie will perform at the 2018 Mariposa Folk Festival in Orillia, ON. The festival occurs July 6, 7 & 8 at Tudhope Park. Buffy Sainte-Marie performs on the main stage on Sunday, July 8. One of the longest running folk festivals in North America, the Mariposa Folk Festival is renowned for its wide range of folk/roots artists, with 100+ performances of every kind on its 11 stages that showcase music, dance and spoken word. Other performers on the festival line up so far are Walk Off The Earth, Bahamas, Alan Doyle, Nick Lowe & Los Straitjackets, and many more. Head over to the Mariposa Folk Festival website for the full lineup and more information. The 2018 Indigenous Music Awards nominees have been announced, and Buffy Sainte-Marie has received two nominations. Her brand new album Medicine Songs has been nominated for Best Folk Album, and her music video for “The War Racket” has been nominated for Best Music Video. 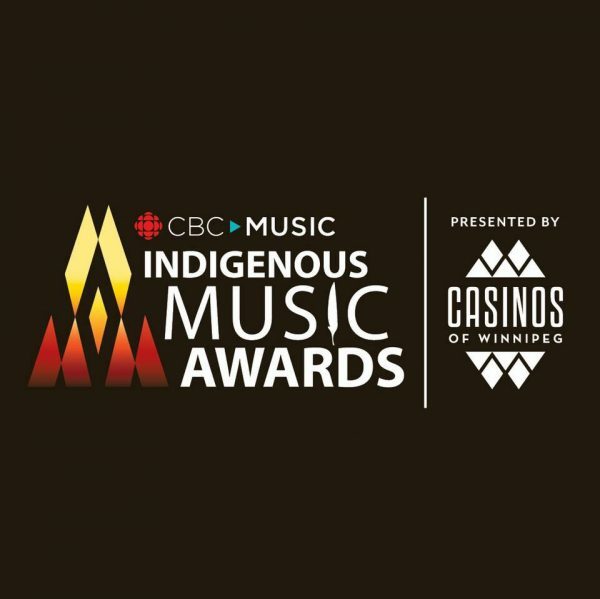 The Indigenous Music Awards (formerly Aboriginal Peoples Choice Music Awards) is the world’s premier awards show recognizing the accomplishments of Indigenous recording artists and music industry professionals from around the globe. Congratulations to Buffy, and to all of this year’s nominees. The 2018 Indigenous Music Awards will be hosted in Winnipeg on Friday, May 18, 2018 at the Club Regent Event Centre. Tickets are on sale now. Buffy Sainte-Marie will perform at the inaugural SKOOKUM Festival, taking place in Vancouver, BC over September 7 – 9, 2018 at Stanley Park. SKOOKUM features an eclectic mix of today’s contemporary music along with live art, sculpture, and multimedia installations. Music will be complemented by remarkable culinary dishes from some of Vancouver’s most notable chefs and restaurateurs with tasting areas showcasing some of the best premium BC wines, local distilleries and craft breweries. Other performers at the festival include The Killers, Florence + The Machine, Metric, Blue Rodeo, St. Vincent, and many more. 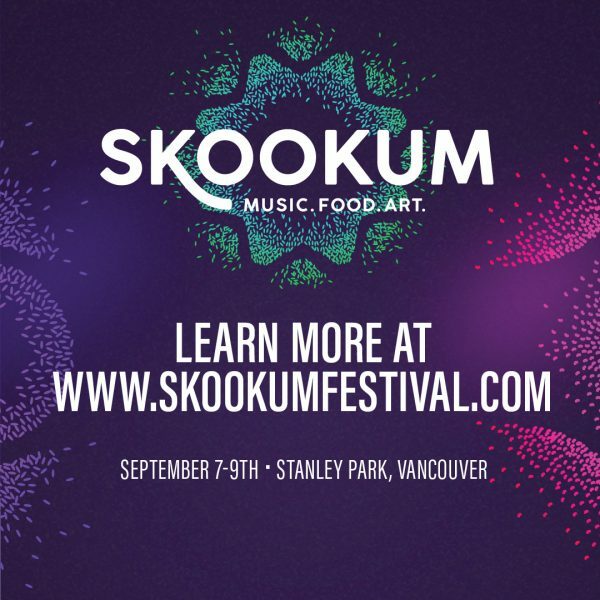 For the full lineup and more information, head over to the SKOOKUM Festival website. Festival passes are on sale Friday, March 16, get yours here. Check out the brand new music video for Buffy Sainte-Marie’s “The War Racket”, from her JUNO Award-nominated album Medicine Songs; animated by recording and visual artist Kurt Swinghammer. 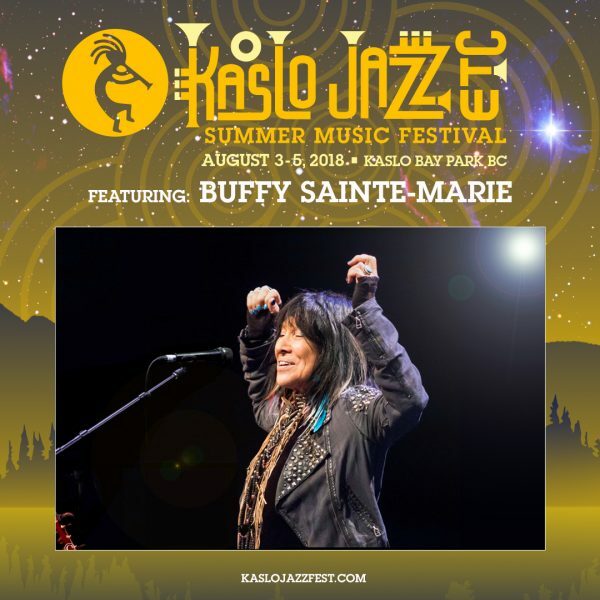 Buffy Sainte-Marie will perform at the 27th annual Kaslo Jazz Etc. Summer Music Festival, happening in Kaslo, BC over August 3 – 5, 2018. The festival takes place at Kaslo Bay Park. This intimate and laid-back world-class music festival has been hosting big names and newly discovered gems of the music business since 1992. Other performers announced include Greensky Bluegrass, Mavis Staples, Shovels and Rope, and many more. Head over to the Kaslo Jazz Etc. Summer Music Festival website for this year’s lineup. Festival tickets are on sale now, get yours here. For a complete list of 2018 nominees, click here. The 47th annual JUNO Awards will be hosted in Vancouver on Sunday, March 25, 2018 and broadcast live on CBC. Buffy Sainte-Marie speaks about her experience educating viewers about breastfeeding on Sesame Street in this in depth article on Hazlitt. Read the entire piece here. Buffy Sainte-Marie sat down with Rick Steves for an interview to discuss her new album Medicine Songs, her travels, and so much more. Listen in here or below.